Next weekend, a couple dozen classic indie rock bands are gathering in Las Vegas to play a birthday celebration for legendary underground label Matador Records. Among the names scheduled to appear are Superchunk, Guitar Wolf, Jon Spencer Blues Explosion, Ted Leo and the Pharmacists, Fucked Up, Guided by Voices, Yo La Tengo and Pavement. Man, do we wish we had tickets. (We don’t so don’t even ask.) But the common thread among all these incredible bands is that they all have released music on Matador during its 21 years of life. 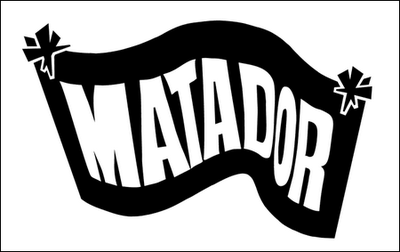 Like Merge and Sub Pop, Matador Records is synonymous with American indie rock music. It was a launching pad for artists like Pavement and Liz Phair, and known for taking chances. In the late ’90s, Matador began taking on more than just indie rockers, and sought out artists in other genres, like noise, IDM and hip-hop. And today, it has a roster that’s as strong as ever, with groups like Shearwater and The New Pornographers among their latest batch of heavyweights, not to mention those on little sister label True Panther Sounds. In the spirit of the birthday celebration, we took it upon ourselves to assemble 21 of our favorite albums, from one of our favorite labels. While we would have liked to include other albums from bands ranging from Teenage Fanclub, Ted Leo, Pretty Girls Make Graves, Come, Railroad Jerk, Guitar Wolf and quite a few others, it would kinda ruin the theme to include more than 21. But these 21, without a doubt, changed us for the better. The only band I know of that has been able to distill the breathtaking atmosphere of late period Talk Talk and John Cale’s art-rock elegance into three-minute rock songs, Shearwater raised the bar for indie rock in the ’00s. On Rook, the Austin-based outfit took the haunting aspects of their previous albums and made them more accessible, even hard rocking at times, as on the furious “Century Eyes.” And the nigh title track, “Rooks,” is the most chilling single to be released in 2008, prophesying an apocalyptic scene via imagery of dying birds. It was creepy, very creepy, but also a thing of sheer beauty.